Former Provost Daniel DeNicola to Retire | The Gettysburgian. Daniel R. DeNicola, Chairperson and Professor of Philosophy, will be retiring from Gettysburg College this May. DeNicola, who has also served as the Collaege’s Provost (1996-2006) and Vice President of Program Development at Gettysburg College, has experienced the development of Gettysburg College into one of the highest ranked Liberal Arts colleges in the country with his own eyes. As Provost of Gettysburg College, DeNicola worked with the administration to carry through many changes to the college. “I was very fortunate in being Provost when I was because we had a president who was oriented towards growth and development,” DeNicola said. These changes included building the Science Center, renovating the Majestic Theatre, renovating the Musselman Library, starting the Johnson Center, starting CNAV, starting the Eisenhower Institute, adding 45 faculty positions, introducing the First-Year Seminar program, and many more. Along with these changes, many majors and minors were added, including: Theatre Arts, Environmental Studies, Anthropology, Arabic, Middle Eastern & Islamic Studies, Health Sciences, Latin American Studies, East Asian Studies, etc. “I think couldn’t have found a better situation to work as a Provost,” DeNicola posited. 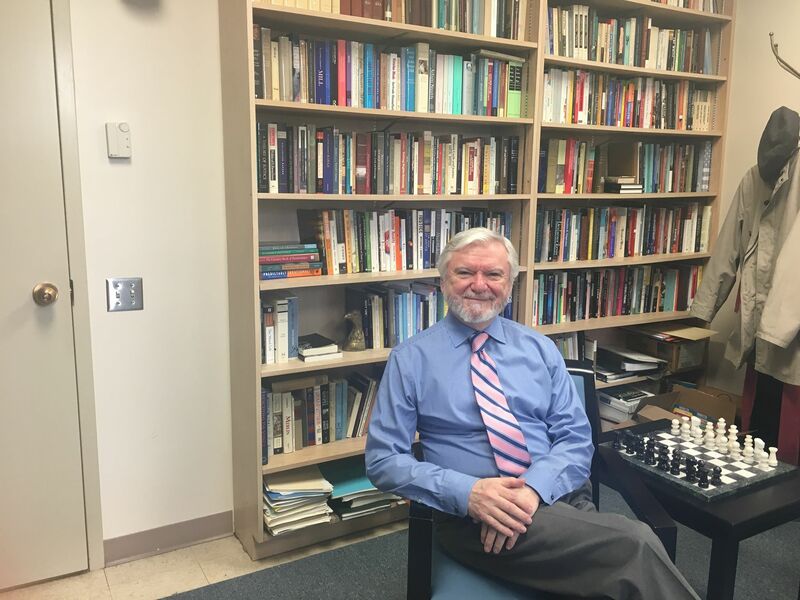 However, “I always imagined I would end my career teaching.” DeNicola felt as though his scholarship had lessened during his time in the administration, and knew that, as a fulltime faculty member, that that would be something he could pursue again wholeheartedly. DeNicola has since become the Chairperson of the Philosophy Department and has taught higher-level philosophy courses including ‘The Philosophy of Color’ and ‘Philosophy of Place.’ He has gone on to publish two books: “Learning to Flourish: A Philosophical Exploration of Liberal Education” and “Understanding Ignorance: The Surprising Impact of What We Don’t Know,” which won an 2018 Association of American Publisher’s PROSE Award in the Philosophy category.